650 SALMON AND trout were killed after a slurry spill in Limerick on Monday. Inland Fisheries Ireland (IFI) says it is continuing to monitor “an incident of pollution” on the River Loobagh in Limerick, which resulted in an extensive fish kill. 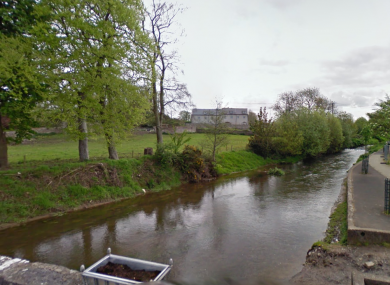 IFI say they received a report on Monday from local anglers in Kilmallock that there were dead fish in the river at Riversfield Bridge, near the Limerick County Council water treatment plant. Anglers said the area was in a polluted condition and dead fish could be seen. The River Loobagh is an important fishery, primarily for brown trout, but also for salmon which seemed to be returning to the river in small numbers. IFI says that a discharge of effluent into the river was located to a steel slurry tank on a nearby farm. Once IFI contacted the farm owner, works immediately proceeded to prevent further discharge and the flow of effluent was intercepted at a number of locations, effectively preventing further discharge. A series of samples were taken which have been sent for analysis. A decision on prosecution will be made based on the tests, an IFI statement says. Around 555 fish were observed to be dead, with an additional 95 fish found by the local angling club. The majority of the fish were brown trout, as well as a small number of juvenile salmon. Anyone with information on pollution or illegal fishing in rivers, canals and lakes can call IFI to report incidents on 1890 34 74 24 or 1890 FISH 24. .
Email “650 fish killed in Limerick slurry spill ”. Feedback on “650 fish killed in Limerick slurry spill ”.